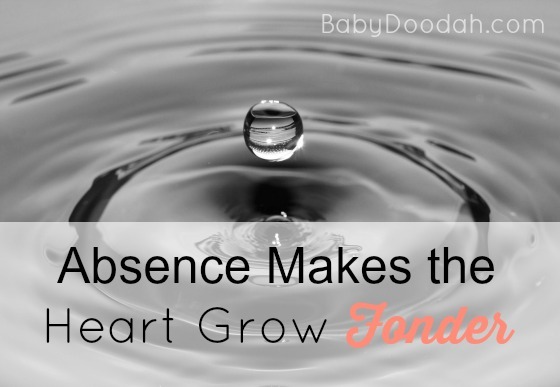 Absence Makes the Heart Grow Fonder - Baby Doodah! I am just working on a lot of stuff behind the scenes and am using a lot of time to write out a business plan (for this blog and my social media management / virtual assistant business). I am brainstorming great content ideas, creating a solid editorial calendar and really buckling down to make this venture a success. No more excuses! I won’t be gone for long! I’ll be back, posting regularly, on March 16th. You will still see me post our weekly Turn It Up Tuesday post on Monday evening (we’d love if you’d link-up), and possibly a short post here or there. Please, don’t go anywhere! Instead, stay tuned for all the awesomeness that is sure to come!